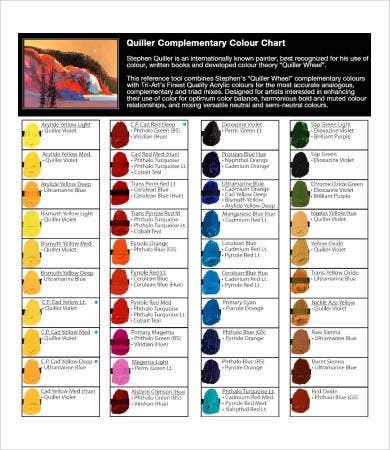 Looking for high-quality color wheel templates? You’re on the right page. We all know that we value color wheel charts. They are vital in design making, which can help us understand the dynamics of the color theory. It has a vast application in architecture, business, fashion, art, and interior design. Searching for a template can be time consuming. To save your precious time and energy, start scrolling down, and check out our color wheel chart templates with an array of categories to choose from. 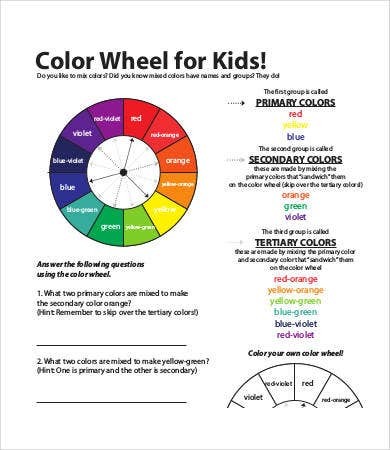 As you can see, our templates are diverse and tailored not just for adults but also for kids who are learning about colors such as our color wheel template for kids. 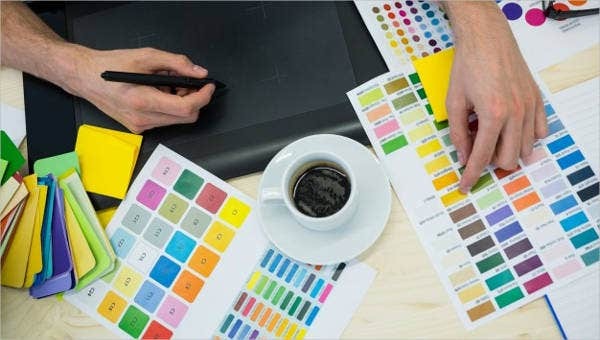 Colors may seem ordinary and usual, but for designers and artists, each color means something and must be combined and complemented wit h a right color partner. 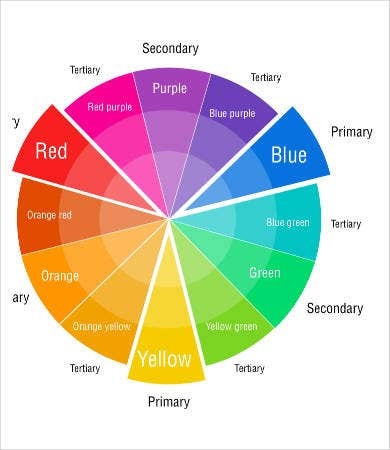 The ultimate aim of a color wheel is not just to provide you an idea about the colors but also to help you comprehend and apply the principles of the color theory. The original color wheel was created by Sir Isaac Newton in 1666. 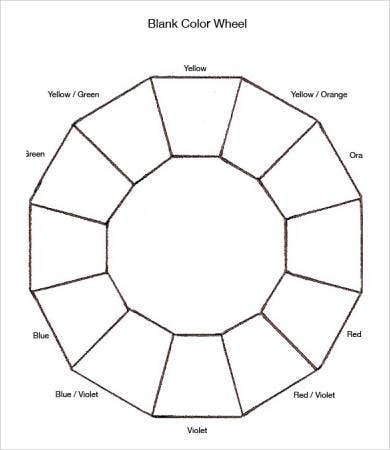 His color wheel was shaped more like a pie chart showing the bands of color that are dispersed in a circle shape. Subsequently, it was in the 1900s that Johannes Itten developed the exact color wheel widely used in modern times today. 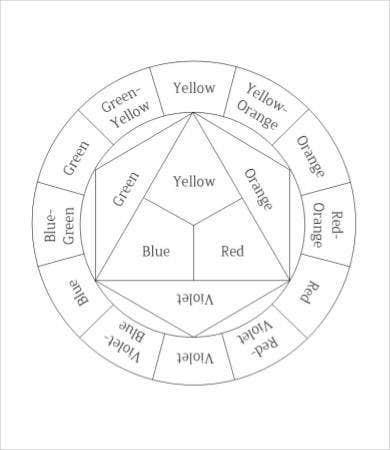 The said color wheel was based on the primary colors and contains 12 colors. As you know, the 12 colors are divided into 3 categories such as the primary, secondary, and tertiary colors. The primary colors are red, blue, and yellow. The secondary colors are purple, green, and orange. And lastly, the tertiary colors are red violet, blue violet, blue green, yellow green, yellow orange, and red orange. The way the colors are divided are also for a specific colors. The primary ones are the most common and traditional ones, while the others are products of color combinations. Indeed, the dynamics of color schemes are quite complicated. It may seem pretty easy, but there are a lot of factors to take into account. 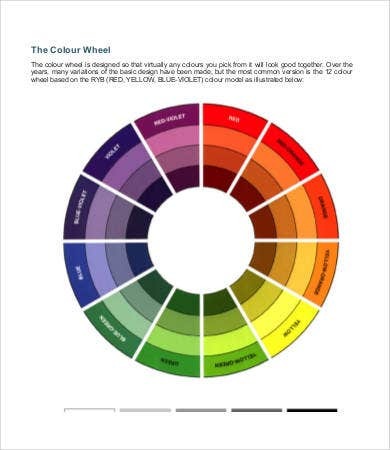 By looking into and downloading our templates, you can also discover and learn more the game plan of a color wheel chart. 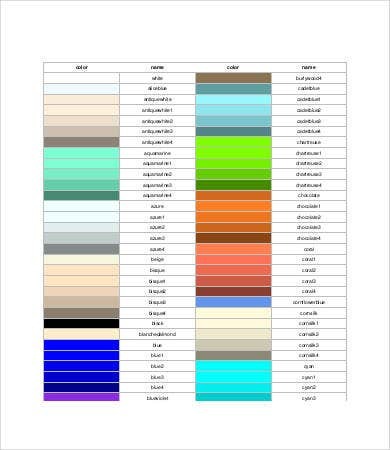 If you’re looking for Pantone Color Charts, we also have some templates available for you on our website.